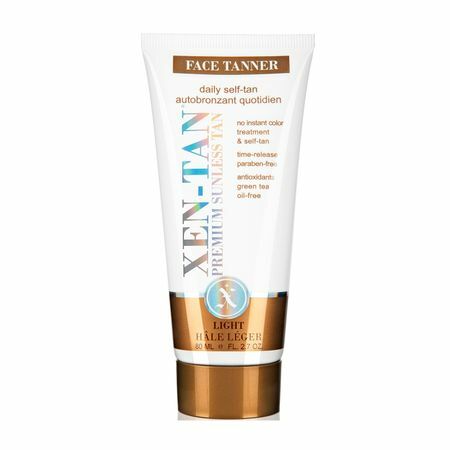 Xen-Tan Face Tanner is for those who need a sunless tan and that little bit more. A sunless tan specifically for the face, jam-packed with powerful antioxidants, apply daily for a beautiful self-tan and facial treatment in one. Our environment can severely damage our skin by oxidizing and deteriorating our cells, like rust on a car, in the form of free radicals. Antioxidants fight free radicals. Vitamin E and gentle fruit acids have been added to smooth the skin on the face and throat. Green Tea, Milk Thistle and Aloe provide smoothing and soothing ingredients for even the most sensitive of skins. With its weightless feel, it works great with or without makeup.